After Tuesday’s board meeting, I originally meant to write a post on Wednesday. I intended to call the piece “Lies my Superintendent told me.” But, as so often happens, events kept unfolding, making the title and the piece feel a little dated. It’s been a wild week, but in my opinion, a necessary week and one that ultimately will make MNPS better. I used to bartend at a place down on the rock block. Happy hour at my bar was a little different from most places. I never adhered to the rule that politics and religion don’t belong in a bar. It was not uncommon for a patron to order a drink amid the backdrop of a spirited discussion on the sanctity of the Second Amendment or the failings of Christianity. It was all fair game as long as civility was maintained, and for the most part, it was maintained. In the ensuing months, the flag was thrown often. Sometimes he could offer evidence, sometimes he couldn’t. But with the specter of the Chuck Flag looming, the conversations improved. After this week, we might need to create a Dr. J Flag (It’s got to have a catchy name, right?). In the age of Google, I am always baffled when politicians lie about things that are easily verified with a simple keystroke. Yet time after time, politicians, from Donald Trump on down to MNPS Director of Schools Shawn Joseph, commit the offense and then bristle when challenged. This week, it was Dr. Joseph’s turn to step to the pulpit. The lead in the water issue is an intensely personal one for me, as my kids attend, and my wife teaches at, an impacted school. I really have to strive to divorce emotion from the equation when it comes to this subject or it becomes impossible for me to have a civil conversation. In his tweet, Joseph claims to be working proactively to ensure drinking water quality. Google “lead in MNPS school drinking water” and you’ll discover that yes, MNPS was proactive in testing the water, but they’ve dragged their feet in addressing the issue since testing. They were perfectly happy to keep levels under 15 parts per billion (ppb) until the Metro Health Department applied pressure. 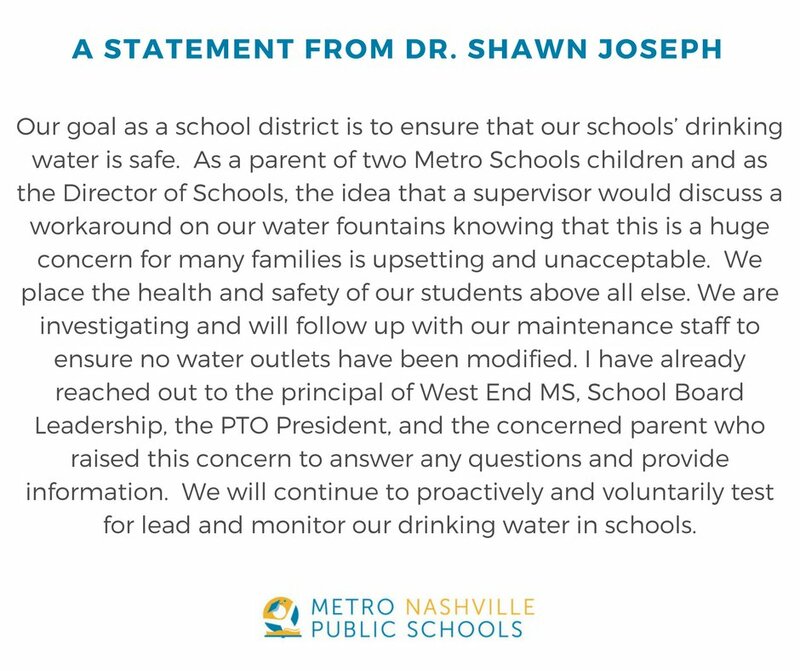 MNPS is so proud of the fact that they voluntarily tested their water, that they offer it as a defense against inaction. It’s like me being proud because I proactively got tested for diabetes but I never changed my lifestyle after being tested. You wouldn’t be impressed if I loudly proclaimed from the couch while eating a bowl of pasta that I had taken the test and might cut out Cokes and exercise once a week. It’s not going to make a bit of difference, and that’s akin to MNPS’s initial stance on lead in the water. Thank god Phil Williams has kept the pressure on. Dr. Joseph refers to “EPA guidelines” in his statement. In the past, the district has evoked “EPA standards.” Through the use of those words, the impression is given that the EPA sets a level of safety. That is a falsehood. 15 ppb is an “action level.” The EPA recommends that any readings over 15 ppb require drastic action. They DO NOT say anything below that is safe. There are no safe levels of lead in drinking water. To imply anything different is either ignorant, disingenuous, or both. Dr. Joseph is fond of evoking the tenet of “equity.” But here is an example of inequity modeled by our very own district leader. When a service is failed to be provided to a middle-class school like West End Middle, and I’m not discounting the challenges they face, he leaps to action by scheduling a meeting at the school, calling the PTO president, and the parent involved in the news story. Meanwhile, over on the southeast side of town, two schools that are made up primarily of English language learners and impoverished kids are just as deeply affected, but nary a sentence is directed their way. Truth is, the district’s “proactive efforts” have never, other than a brief error-ridden presentation last year by CFO Chris Henson, been fully vetted on the board floor. District leadership seems to be employing a Beetlejuice strategy here: Don’t utter the words and the issue won’t appear. Fortunately, Board member Amy Frogge has indicated that such a strategy is not working for her, and she wants a full discussion on the board floor. Props to her. “Budget freeze – we did one last year.” Huh? No we didn’t. There was no budget freeze last year. 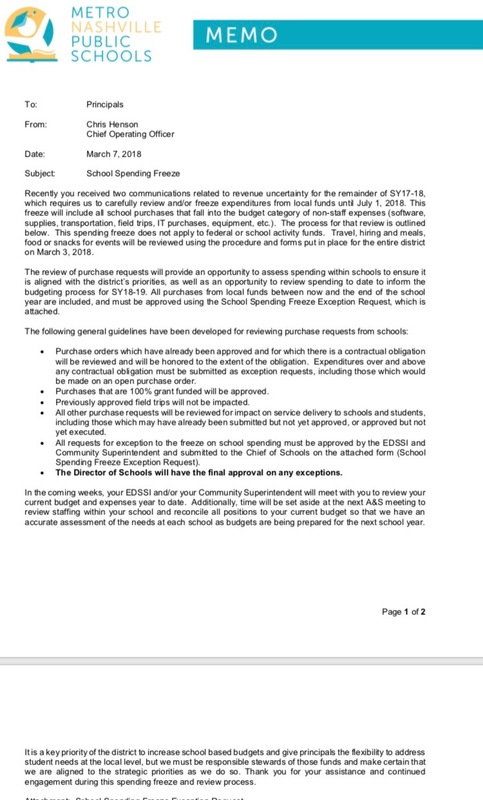 Interestingly enough, there was a budget review and travel freeze put in place in November in response to questions about the district leadership’s spending habits. A follow-up story aired in March because despite the freeze, leadership was still traipsing around the country. “We would not let any school go without paper.” That one produced a collective, “Huh??! ?” from principals. Up until yesterday, all budget exception requests were being returned from central office marked denied. Many of those requests were for funds for paper. In fact, Overton HS parents felt so concerned that they created a paper drive. Joseph has stated that people have just misinterpreted the freeze, but the directive seems to have made things pretty clear to me. “Never in my 22 years have I not made it to the finish line [on a budget] clear, effective, and accurate.” Simple math takes us back to the year 1996, and if I’m not mistaken, Dr. Joseph was a reading specialist at a middle school in Maryland. It wasn’t until 2009, when Dr. Joseph became Director of School Performance for Montgomery County Schools, that he was involved in a districtwide budgeting process. Joseph has only led a districtwide budgeting process three times, twice in Seaford and once here. I don’t believe anyone in Seaford would describe his second effort as being completed in a clear, effective, and accurate manner. Standing in front of the board and using your “22 years of experience” to admonish them is, again, a bit disingenuous. Supported Dr. Dallas Dance, Superintendent of Baltimore County Public Schools, to conceptualize and develop a district-run principal training program. Specific duties included training 50 aspiring leaders to assume principal positions within Baltimore County Public Schools. For the record, Dance’s legal problems center around principal training programs. I applaud school board leaders Anna Shepherd and Jill Speering in requesting a fiscal audit. District leadership has long cried that the district is underfunded. An audit will only provide an opportunity to further illuminate to what degree the district is underfunded. If everything is as Dr. Joseph portrays, the state will have no recourse other than to increase funding. At the board meeting, Dr. Joseph, to his credit, embraced the idea of an audit. He did have some ideas on who should conduct the audit along with a warning that it could come with a multimillion dollar price tag – well, he said a million dollar price tag – which is not exactly true either. Let’s see how this all will unfold. Hopefully at some point, district leadership will form a tighter bond with the truth, or at the very least, remember that everyone has access to Google. Wednesday, students across Tennessee participated in a national school walkout day protest. I applaud the actions of the students who participated, but question whether they may truly qualify as protest actions. In many cases, district administrators did their best to dictate how the walkouts would unfold, including where students would walkout to and how long they would remain out. Students who participated, for the most part, faced no repercussions if they chose to participate. To me, the whole exercise, while inducing pride and producing some poignant moments, felt more like a project based learning exercise than it did a protest action. In order to be effective, protest has to involve some kind of personal risk. 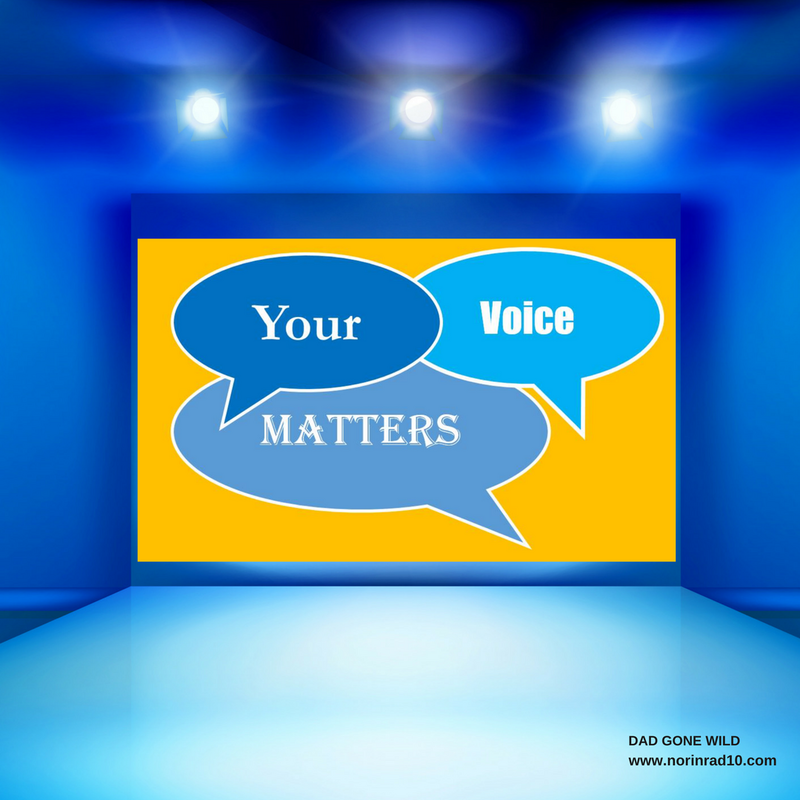 A participant needs to feel so strongly about what they are speaking out about that they are willing to risk any repercussions they may incur. Imagine if the day after the walkout, administrators would have had to look across empty schools and filled detention halls? Much like authorities once had to look at empty buses and full jail cells. Imagine if the images on Wednesday had been ones of students walking out in defiance of adult directives instead of peacefully packed auditoriums. If I’m an ordinary citizen and I wasn’t in that auditorium, how do I bear witness to these kids’ passion? I promise you that if I was on the street when Hume-Fogg students decided to march on the capitol, my perspective would be different. Well-meaning adults distilled the power of these protests in the name of safety and concern. Things did get out of hand at Antioch HS, and while it may have been inexcusable, it was real. Protests can’t be managed and sometimes that leads to a discombobulated message. But they should serve as a last resort, after you’ve tried talking in a clear and concise manner, so sometimes bad behavior is inevitable. Perhaps somebody should focus not on the how, but rather the why, Antioch HS kids acted the way they did. It’s easy to write people off as “thugs.” It’s harder to understand what caused their behavior. The Antioch protests may have made us more uncomfortable than the Hume-Fogg protests. But I would argue that Malcolm X also made Martin Luther King, Jr., uncomfortable, but both were essential for change to occur. It’s all a plea for change. As adults, we have failed to keep kids safe when it comes to violence. Look at the statistics and any counterargument becomes moot. It’s not just the mass shootings either, it’s the ever-increasing numbers of kids who are continually exposed to gun violence in their daily lives. Based on our track record, I’m not sure where we get the hubris to try to dictate how kids should try to effect change. Perhaps it’s time for us to get out of the way and let them be heard. Maybe, just maybe, they can impart real change. We owe it to them to give them a real shot. A while back, I told you about an MNPS coach who struck a parent who followed him into a locker room after a game. As more details have emerged, it appears that it was the coach who’s been wronged and not the parent. 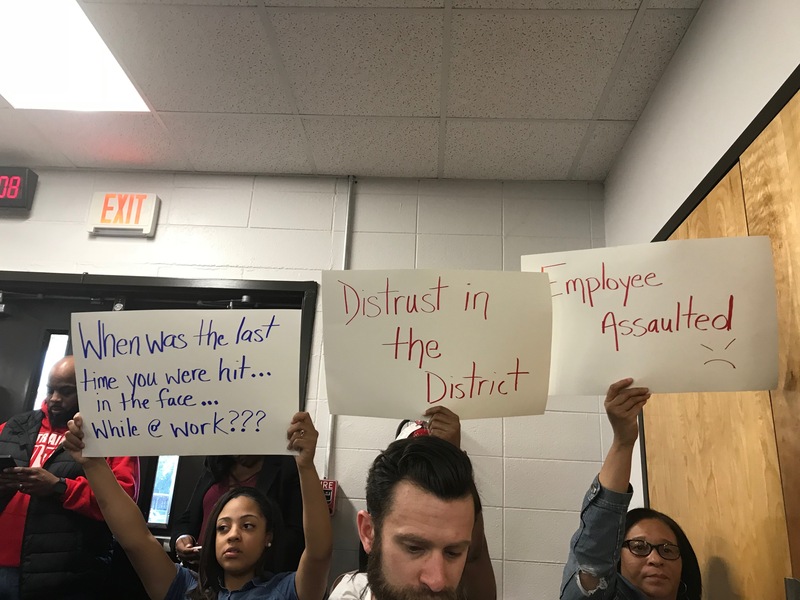 The White’s Creek community showed up en masse to Tuesday’s board meeting and demanded that MNPS resolve their coaches’ status as quickly as possible and clear him of wrongdoing. The district had placed Coach Carlton Battle on administrative leave after the incident pending a review. By all accounts, Battle is a reasonable and dedicated coach with a real passion for his kids. He also serves as an Assistant Principal at Whites Creek HS. For the benefit of everyone, let’s hope things get resolved quickly. Please welcome back from maternity leave Southeast Quadrant Community Superintendent Dr. Adrienne Battle. Dr. Battle has been out on maternity leave, so congratulations are in order. Welcome back. Congratulations are also in order for Dr. Joseph, though we are a little late in offering them. Back in December, he was elected to the Board of Trustees for Learning Forward. Learning Forward is the only professional association devoted exclusively to those who work in educator professional development. They help members leverage the power of professional learning to affect positive and lasting change. Chief Academic Officer Monique Felder and Literacy Director Barbara Lashley are both off to Houston today to check out Pre-K literacy programs. I know, I know… but hey, I don’t write these stories, just report them. I’m considering making up bingo cards for future school board meetings. Squares would have the words rigor, equity, transparency, strategic framework, collaboration, noise, and maybe a few others. Every time you heard one of those words, you cover the square. Anybody in? Any other suggestions? We need to remember these words aren’t “Beetlejuice.” In other words, just saying them won’t magically make them appear. Due to the ACT testing in all MNPS high schools on March 20, high schools will not participate in the final MNPS Tour Tuesday. If you’re interested in learning more about any of the high schools, contact the school to set up a school tour. 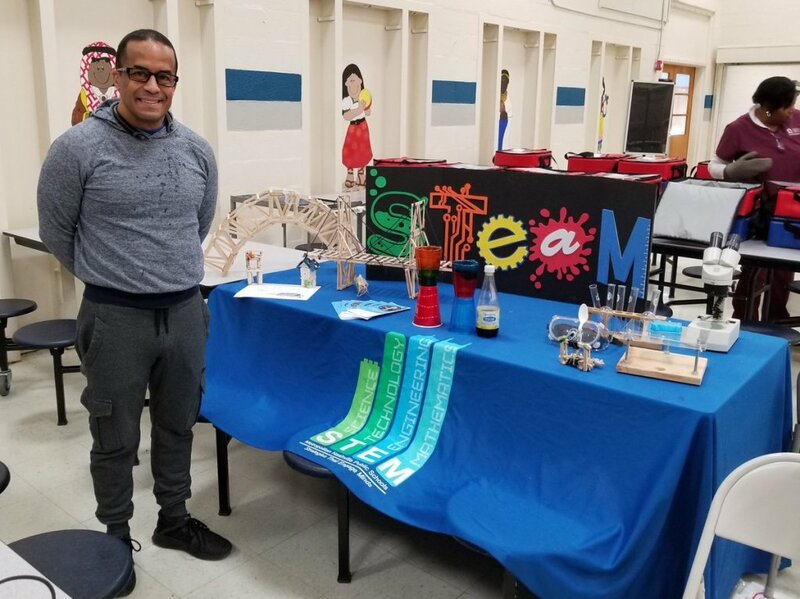 I’m still a little unsold on the STEAM initiatives, but if it fills schools with teachers like Mr. Calderone, pictured to the left, I may have to change my opinion. I found this story on a “Marzano School” opening up in Colorado extremely interesting. It’s a model that’s company-based, which is not new to the district but has shown limited success to date. Kids are grouped by mastery versus age. The curriculum has been designed by widely-recognized and respected education researcher Robert Marzano. Very interesting. Vesia Hawkins has a new post celebrating a Nashville-based national literacy movementt. I consider it a must-read. I’ve lived a lot of life since my last record,” says Scotty McCreery. “I moved out on my own, I travelled across the country and the world, I got engaged, I was even robbed at gunpoint. So I really wanted this album to show who Scotty is at 24, what’s going on in my life, and I think we accomplished that. It is my most personal album yet.” With Seasons Change, McCreery takes a huge creative step forward, co-writing all 11 songs on the album, and working with some of the finest songwriters in Nashville to express a wide range of emotions and musical styles. Check it out. Let me know what you think. I know this post is already long enough, but let’s get to the poll questions. I think they are pretty self-explanatory this week. So, in the interest of brevity, I’ll just throw them out there and let you decipher them. Previous ANYBODY GOT A FLASHLIGHT? Great post, as always. Lots to think about after reading, but your take on the walk-outs really stood out for me – specifically, your suggestion that folks may want to ask “why” when processing what happened at Antioch. I was happy to read about the second walk-out, but I’d really love to hear from the students directly involved in the flag and police car incidents. Maybe hearing from those kids would take folks back to their own teenage years, and they might tap into some empathy. At least the “why” that you spoke of could be taken in to account. Is Bartending how you met will pinkston? I recall Antioch kids walked out last year without incident protesting over food, Teachers and a Coach much like the Cane Ridge kids yes? They were I believe supported by many of the Faculty who met w/Joseph and well nothing improved. As irony on top of irony I also believe Wednesday that McGavock High found they were served rotting food and it too was covered on the news almost as a joke. No it is not and once I was at a school where I had to yank the food from the kids as an announcement was made that the biscuit was uncooked and could lead to issues. That was my first encounter with the food issue and not the last. Then we have the MLK walk out that included two different protests and one that was pro arming Teachers. It only got a passing mention. The same with Pearl-Cohn that had a gun violence theme and given that the day before a Student had a gun on campus as well as the prior weeks shootings it makes sense. And depending on which news coverage you watched one had the kids trying to go down Jefferson or to TSU and another that said they took off never to return. Which was it? And there are stories about staff with guns either on their person (last year at John Early) or Staff who have guns stored in vehicles parked on campus. This is not good. There is a problem here about the issue that criminal investigations into either staff or students that seem to fall away after the initial incident. Do these things just disappear? I am for one shocked that an audit was demanded and wonder if the story about the water (had that tape not emerged…) and others will fall by the wayside as things seem to here after the initial indignation and attention. Nutrition is a part of learning. But no lets push STEM/STEAM or whatever over the cost of the basic foundations of education. There is no way to push a program when a city has poor internet connections, insufficient technology to support said push and few Teachers truly trained on how to teach said subject. Again another issue that gets pushed aside. MNPS treats schools like a gigantic can they kick down the road and eventually you come to the end of said road. I simply build on what I read here…. You have been interested in restorative justice. We have one school where it is working, Fall Hamilton but that is grant supported position and when the grant goes, does the person? Again another can and another road. And here is story a school in San Francisco https://www.kqed.org/mindshift/49558/a-deeper-look-at-the-whole-school-approach-to-behavior?utm_source=facebook.com&utm_medium=social&utm_campaign=npr&utm_term=nprnews&utm_content=20180317 that has many of the same issues that are here in Nashville; a well to do city but one divided clearly down the middle. This Admin is doing push in and a couple of years ago I worked in a school that had a grant for this type of program only they did it with Teachers who were paid to do by simply giving them an extra prep and so the kids saw those familiar faces from either grades below or above. And that insight and observation works on many levels. And if the class was running smoothly they could rove and push in and touch base with others in their cohort. If I recall it worked as if they did not need discipline they had support from a co-Teacher to run a lesson and tutor kids. And that enables a Teacher to do other tasks since they have a peer in the room. There are only so many hours to a day and to have four eyes versus two you can have someone to provide back up or feed back on an issue or even a lesson plan. This is what the do in SPED and ELL and frankly all kids deserve it when they come from fractured backgrounds. You should not need an IEP to be deemed special. You are special just for being there.